3041 N. Rampart St. New Orleans, Louisiana 70117. Dr. Scott has a lot of good information in simple terms. 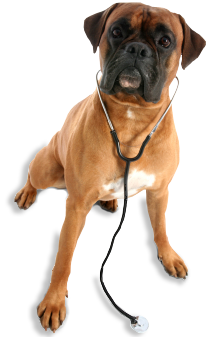 Take a look at a few of the blogs and see if we can answer any questions for you with out the vet visit. I am excited to announce that I am moving my practice to the confines of NOLA Bark Market on Rampart Street. (My original plan was to open at the corner of Desire Street and Saint Claude Avenue. But too many delays forced me to look elsewhere). So the stars re-directed me to Nola Bark Market, a well known center of pet health, wellness, nutrition and art with a beautiful and spacious dog park and in a beautiful, historic and iconic building with incredible energy that you feel when you walk through the entrance! I thoroughly enjoyed my nine years working on Royal Street but unfortunately the rent became astronomically high and the parking spots became continually harder to find. (The two parking spots that I paid for my clients at the Place d'arms Hotel for years were taken away from me and I could never secure anymore parking for my patient's owners). So as I watched my rent double and the parking spaces diminish in the French quarter as a result of constant construction and bike rack additions, I made the heart wrenching decision to leave the French quarter and move my practice to a place that's more accessible to the vast majority of my clients, and to frankly where most of my clients live, the Bywater. As a result of the decreased overhead at the new facility, pretty much all fees across the board will be lowered. Unable to make it to the Hospital each month to pick up your Pets’ Products? Now you can buy your preventatives, prescription diets and medications online and have them shipped right to your door. Email us using the form below or call (504) 322-7030 to make an appointment.